The Laundromat Project is a nonprofit that was started by Rise Wilson is 2004. The goal of The LP is to highlight the relationship between art/culture and community development. 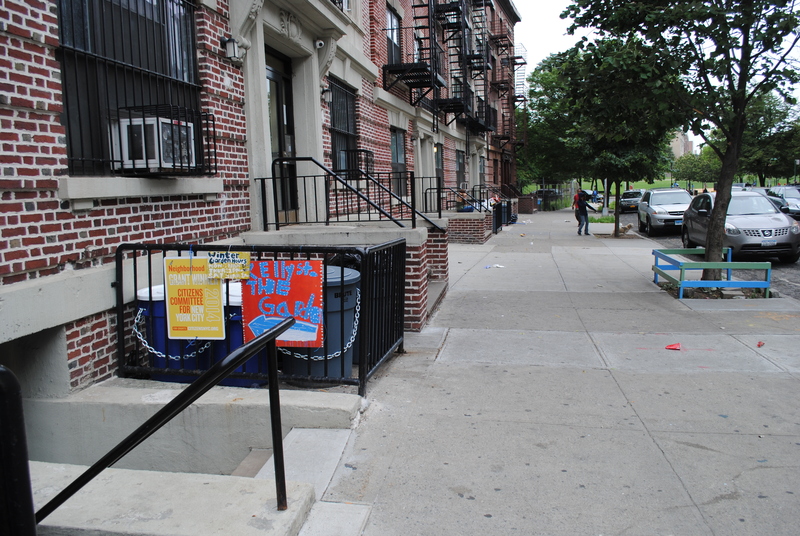 Through their program, Create Change, The LP connects artists to communities, specifically Harlem, Hunts Point, and Bed Stuy. The goal of this is to help support socially-engaged artists who can help to catalyze the innate creativity within each of these culturally vibrant communities. Along with their Create Change program The LP hosts community wide arts workshops within local laundromats or community centers in the area. One community that they have been heavily involved with is Kelly Street. 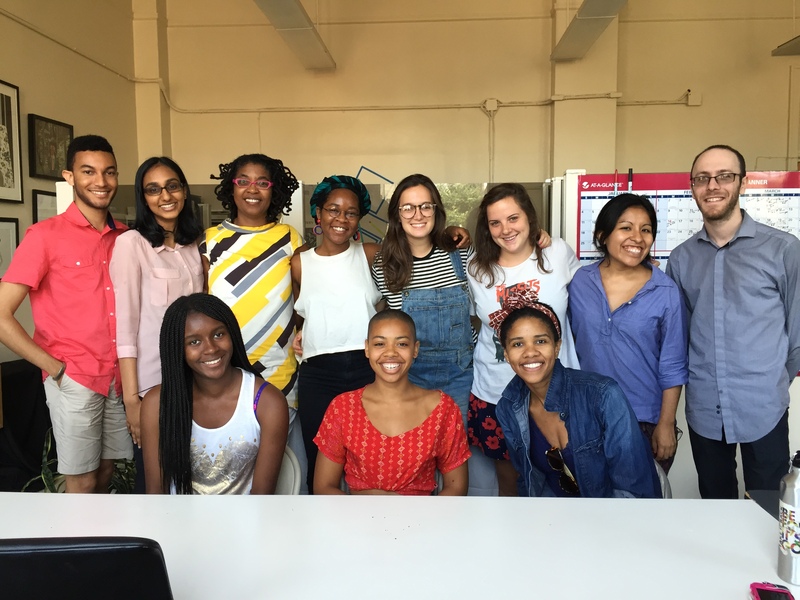 The LP hosts an internship program where they allow college students to come and be “artist assistants” for their Create Change artists. I was connected with the Kelly Street Community Garden through this internship program. Ask anyone from the Bronx about “Banana Kelly” and I guarantee that they will have a story for you. Kelly Street has always been an essential aspect of the story of the South Bronx. Unfortunately it’s reputation has revolved around a history of drug use or gang violence. Yet, my experience on the block was anything but that. I spent my summer interning at the Kelly Street Garden, a community 1200 square foot garden in the courtyard of an apartment building on Kelly Street. The Garden is run by a group of 6 women known as the “Kelly Street Garden Committee” who devote their time to growing, making, and giving out healthy food as a path to creating a stronger, healthier community. 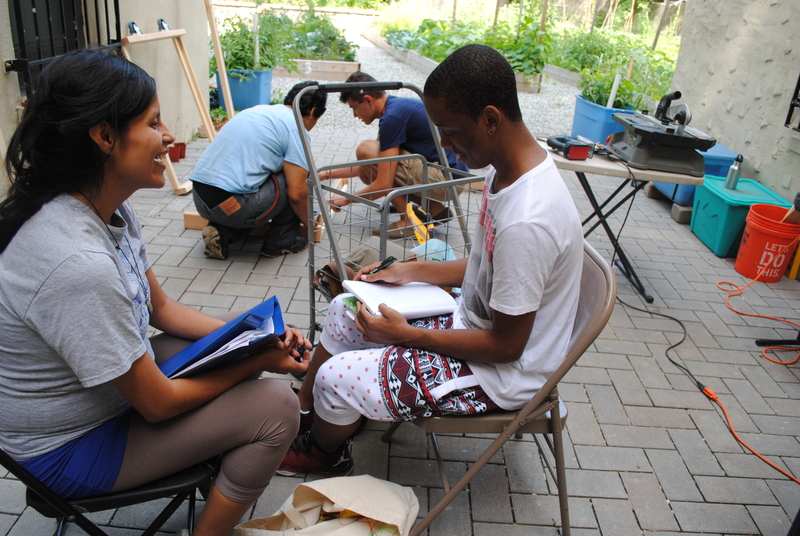 The garden hosts summer youth programs, weekly cooking classes, and a weekly farmers market. Many residents of the block have lived there for most of their lives and there is a sense of dedication to the block which is hard in most other urban areas. Kelly Street is one of the most loving, welcoming communities that I have ever seen, especially in New York. 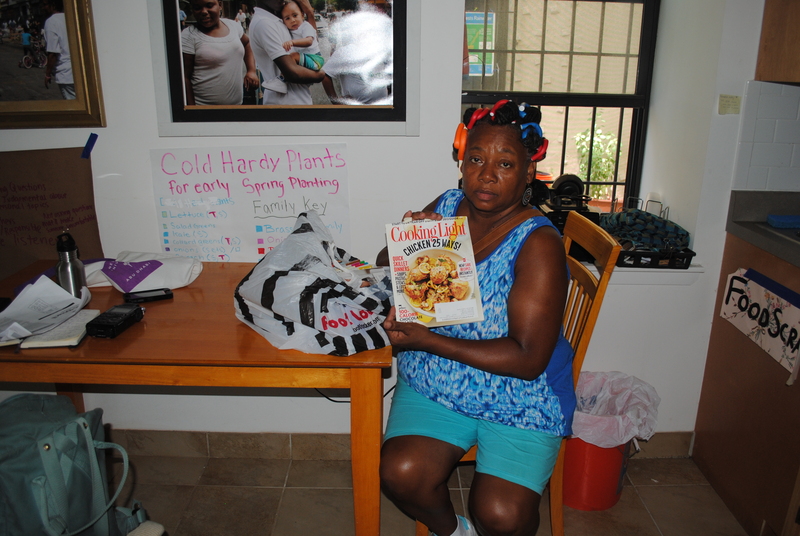 It is people like Hopey, who have been on the block for several decades, or like Rosalba, the Kelly Street Garden Coordinator, that help to make the place so special. 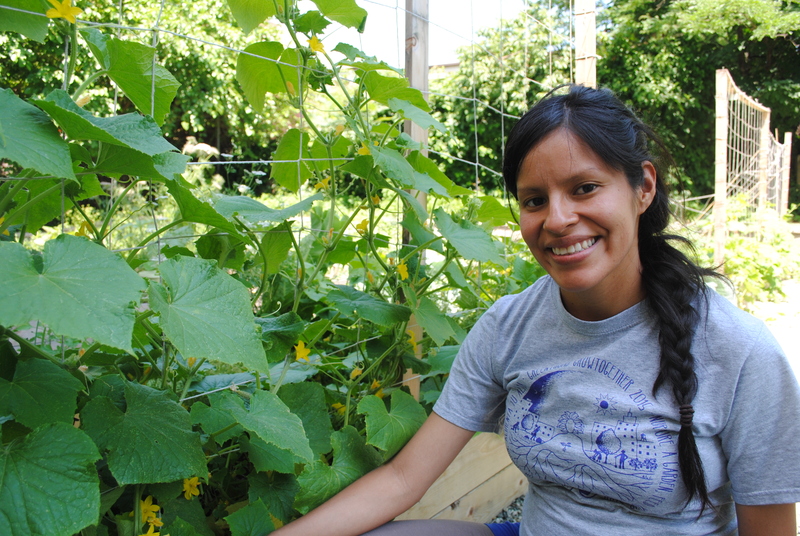 Rosalba Lopez Ramirez lives on Kelly Street as the Kelly Street Garden Coordinator. She works with the Garden Committee to grow food, give out vegetables, and host community cooking classes. I spoke to Rosalba about how she got to Kelly Street, her thoughts about the block, and the role that art can play in community development. Can Kelly Street be an example for other communities? Biggest change you have experienced since living here? Is there anything last thing you want to add about Kelly Street? 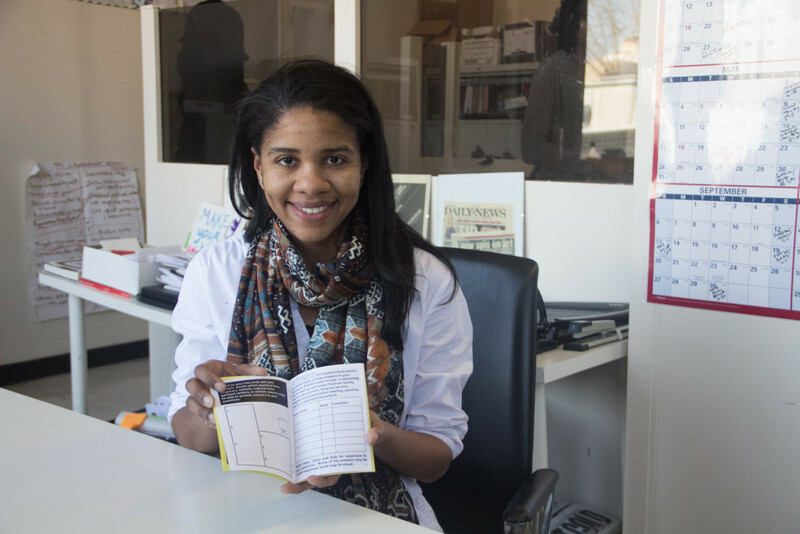 Petrushka Bazin Larsen is the former Program Director of The Laundromat Project and recently started as the Vice President of Programs and Education at the Brooklyn Children’s Museum. I spoke to Petrushka about the LP, how the LP got connected with Kelly Street, and the relationship of art/youth to community development. How the LP got connected with Kelly Street? Alison is an artist, administrator, educator, and community organizer, interested in weaving together performance, oral history, scholarship, and activism to co-create experiences that allow people to access their strength and creativity. 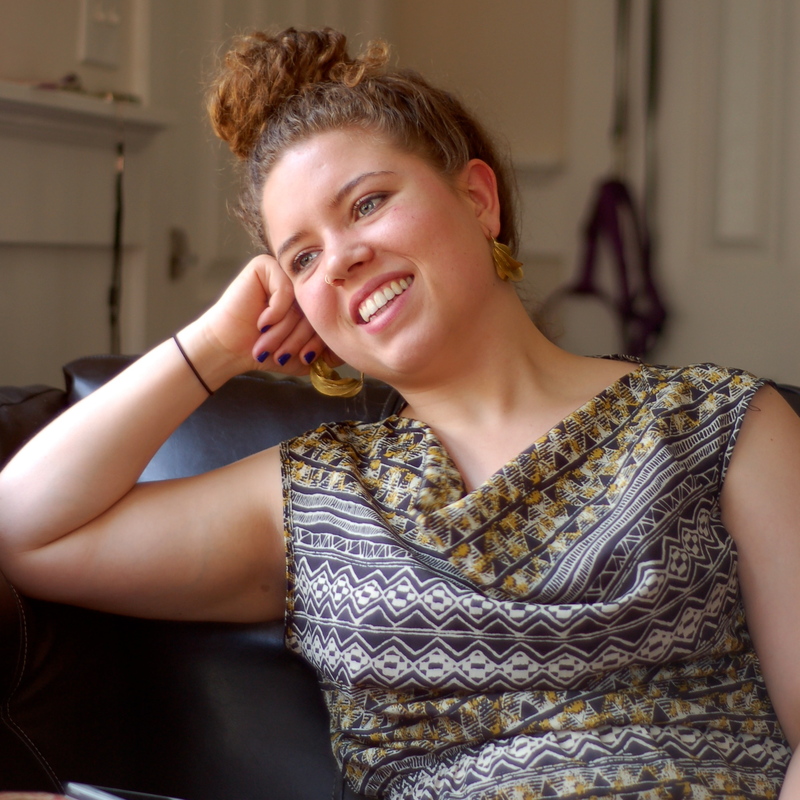 She was a 2014 Create Change Fellow at the LP and is now working on a project called STORYBLOCK, an oral history and visual archive of Kelly Street. I spoke to Alison about how she got connected with both the LP and Kelly Street and what she has learned from her experience with each. Relationship of community to art/the garden? Do you have anything else that you want to include? “I think my big things are always just about that it has a really amazing history as a block, so getting to know that. I think it’s important to note that what is happening isn’t new, it’s just a growth of what is already there. History is never gone, it’s not even past. That’s what you see there. There is a direct connection to what’s happening now and what happened before. Jennifer “Hopey” Foster is a lifetime Kelly Street resident, community leader, and unofficial neighborhood social coordinator, in charge of making sure everyone feels welcome and well fed! 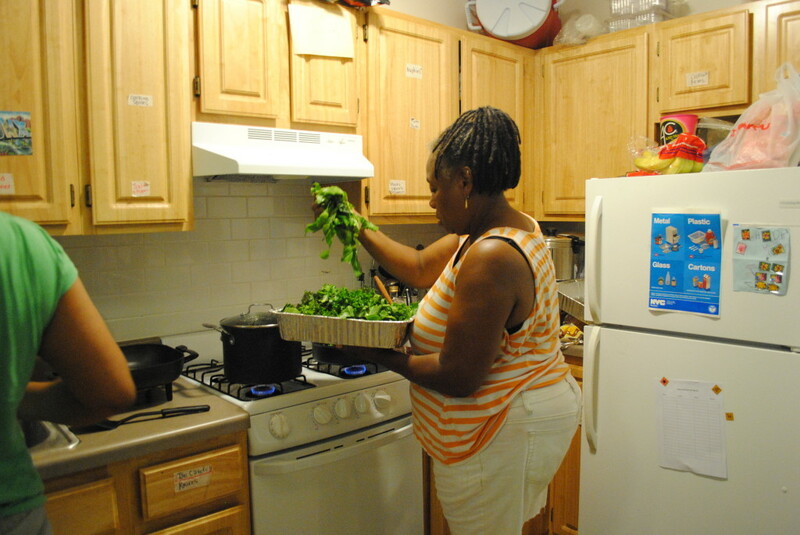 Above is a photo of her leading one of the bi-weekly Kelly Street community cooking classes. I talked to her about the history of the garden and the importance of cooking.